"Anyone who's purchased anything from Apple in the last decade knows how beautiful an experience unboxing their products is. In fact, there's a small team at Apple who take the subject very, very seriously." Attention to detail is one thing, but this takes it to another level! 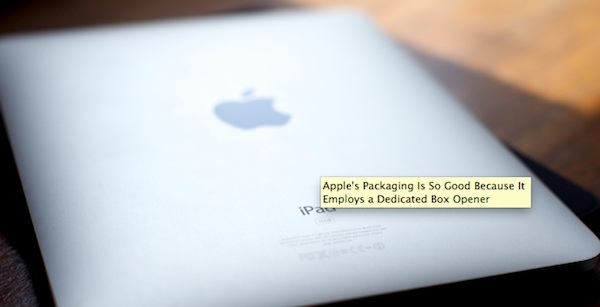 I love how Apple packages their products, and I guess it's because they want it to be a special experience. One thing is for sure though, I couldn't do the guys job that tests each of these boxes. Ugh, how boring!